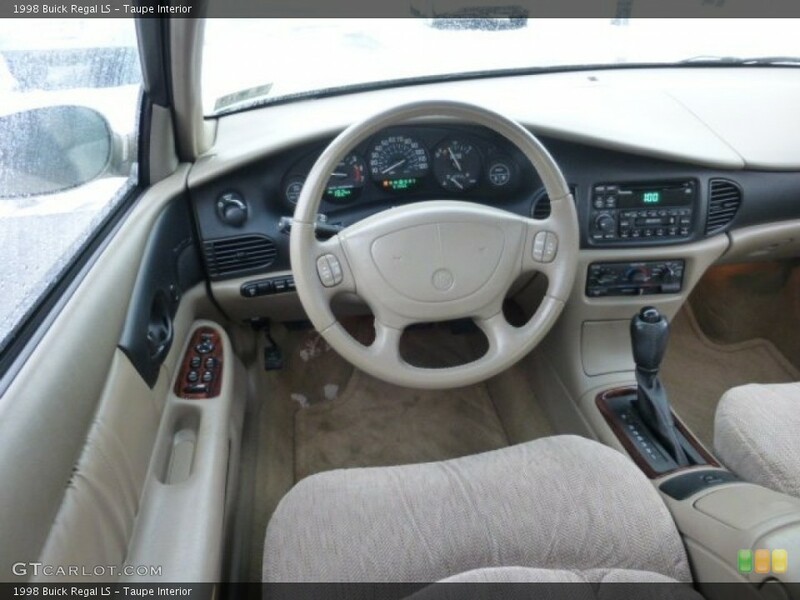 Other GM steering wheels that will work in a 94 Roady? I was at the junkyard today and saw a few Cadillac steering wheels that were holding up much better than ours. I actually kind of like the looks of the Buick wheel, but the top section is pretty thin, and it's hard to hold at 9 and 3 like I'm used to. I'd ideally like to keep the airbag, so I'm wondering if there are other Buick, Cadillac, etc. wheels that will bolt in and connect up properly. I know at some point airbags went to dual stage, but I forget when. I do plan to repaint my wheel, but it needs a bit of sanding/filling first, so it's not as easy as just pull, paint, reinstall. The Regal wheel would be a nice looking change. Wheels from 90's Regal, Park Avenue, LeSabre will work. They wont have a Buick emblem on them however the wheels from a Lumina and/or Monte Carol will also bolt up and work just fine. Adding to this thread, does anyone know if newer wheels would work? I was in the yard yesterday and saw a nice wood wheel in an 02 Deville (I think it was). I went back today to get it and the car was pulled and crushed. I have seen that wheel in a Fleetwood before, so it should work in a RMW as well. That's good to know. I'll keep an eye out. There were two of them in the yard yesterday in the same row, and both got crushed today. 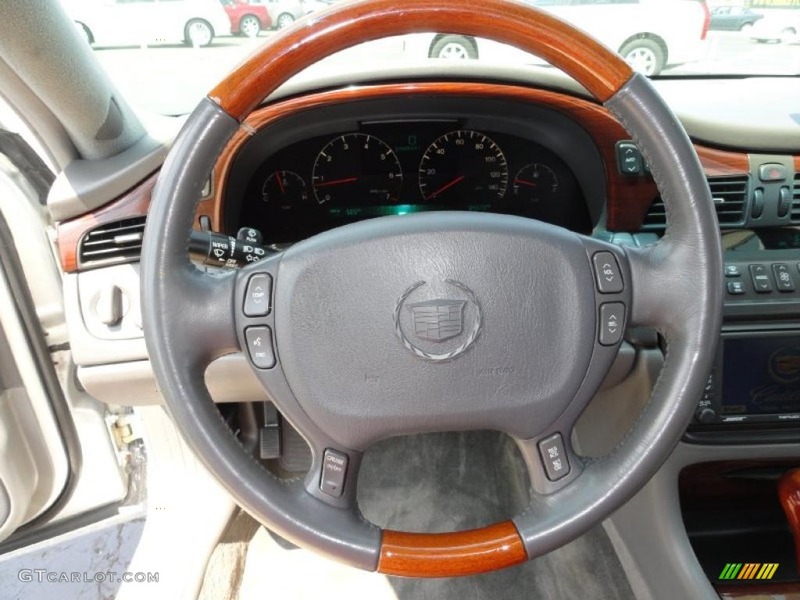 Also looking around, the 2000 Escalade wheel looks pretty nice too, and the useless buttons are more out of the way. The buttons are attached from the back of the airbag. You can remove them. If you get the clockspring, you may be able to make them functional. 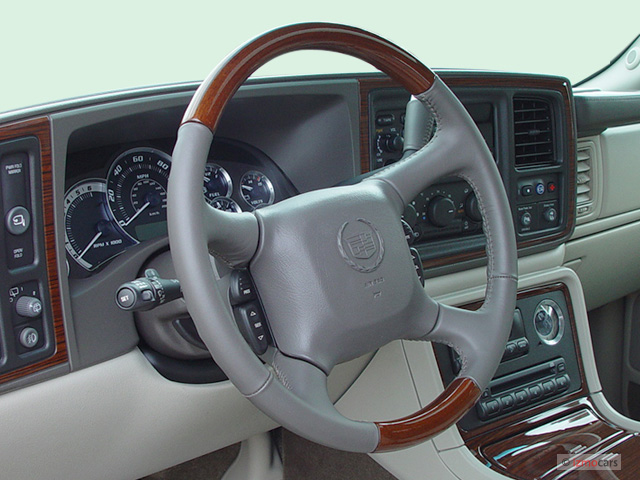 Escalade wheel is the same as any GMT800 truck, too - so for Chevy guys - you can get a bowtie airbag. No such luck for Buick drivers, but still. Fred, you see many of these wheels down in your neck of the woods? I would expect a lot of Caddies in the yards where you are. I have not been looking extensively for wheels. I do not know the steering wheel market very well, but could look for them on a more regular basis, if I knew I could move them. Most of the interiors in FL are rough. The sun has a way of aging them quickly. If the wheel itself is good, usually the airbag, or horn button/bar is in bad condition. Pretty wheels tend to disappear quickly as well. I was at the yard last week, and saw two nice Caddy wheels on a 00 and an 03. Wood top and bottom and they had all the buttons. Both were light beige. The cars will be there for about another week or two. Also the same wheel used in GMT360 platform, Buick Rainier. BOOM Also, not to be forgotten the Olds Bravada. 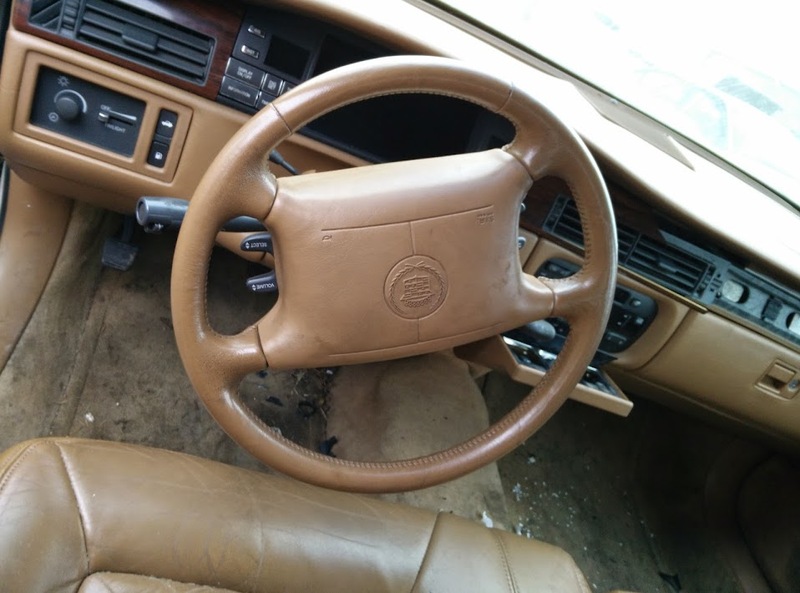 Subject: Re: Other GM steering wheels that will work in a 94 Roady?